Phnom Penh Municipal Court on Wednesday, July 18, sentenced two Nigerian men to life in prison and 30 years for drug trafficking in Cambodia. They were also fined $17,500 each. 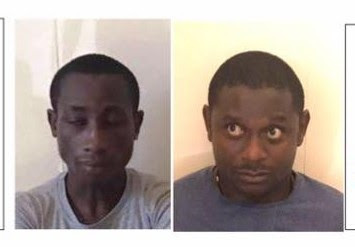 The convicts, Boniface Okoro Chukwuka, 28, and Frank Obiora Dozie, 34, were charged with smuggling more than a kilo of cocaine into Cambodia from Colombia. They went on trial on July 5th. Presiding Judge Seng Rithy said the two were arrested on July 13, 2017 by Anti-Drug police working with customs police at the Phnom Penh airport. He added that after their arrests, police seized 189 packs of cocaine, weighing 1.1 kilos, which were hidden in a box containing imitation jewellery that had been couriered to Cambodia. During the trial, Mr Chukwuka, who got life imprisonment, had admitted to the crime while Mr Dozie claimed innocence. Mr Chukwuka said that he bought the drugs for $15 000 from a Nigerian man in Colombia and intended to sell it in Thailand. Mr Dozie said he knew Mr Chukwuka, but did not know anything about the drugs. He said that he was arrested because he was staying with Mr Chukwuka when police raided his rental house in Chom Chao commune last year. However, deputy prosecutor Kol Bun said the two accused belonged to a group of foreign drug traffickers who were hiding in Cambodia. Outside the courtroom following the sentencing, Mr Dozie said he plans to file an appeal. "It's a great injustice, " he said. "I do not accept the judgement because I did not know about the drugs and was not involved in the trafficking. I will file an appeal"